Have you ever wondered what the serial numbers on your outboard engine represent? Let’s start with the first digit. Most likely you see an E or a J. These stand for Evinrude and Johnson, respectively. If you see a different letter, it may mean that your engine was not built for the American market. The next group of digits will be a series of two or three numbers; these indicate horsepower. Two or three letters will come next and identify the motor’s trim. Next comes a single letter either L, Y, X or Z, each of which corresponds to a driveshaft length. Finally you’ll see two letters indicating the year a model was built. There may be one more letter, but this only has significance to the manufacturer and not the consumer. Pair this with the knowledge you learned yesterday about Evinrude XD50 oil and you’ll know far more than a lot of recreational boaters. I’ve only visited New Orleans once and it was as a volunteer to re-build homes in the aftermath of Hurricane Katrina. Fishing wasn’t a top priority at that time. Though the city still hasn’t fully recovered, I’ve heard from friends in the area that the fishing has improved significantly. Just like Field & Stream, my friends recommended City Park and Bayou Segnette. The Bayou is ideal for largemouth fish. The city and surrounding area are checkered with marshes, canals, and ponds begging to be explored. Next time I get an opportunity to go down there, I’ll bring my boat and some extra Amalie oil. 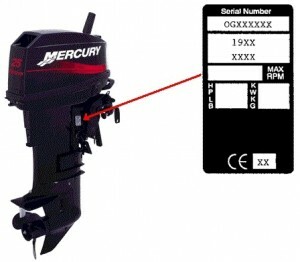 If your Mercury boat takes you into salt water, it is recommended that you park with the outdrive in the down position. This prevents barnacle formation on the bellows; if barnacles form, they can cut into the bellows and ultimately sink the boat. There have been many recent instances in the Midwest where beavers have eaten enough boat bellows to sink the craft and render it useless. If your Mercury outboard is stored in the sun with the outdrive down, it will also alleviate the effects of dry rot on the bellows. Bellows should not have to be replaced more than once every five or six years, barring formation of a leak or hole. When performing preventative maintenance on the bellows, you may have more success with Mercury parts-they have a bellows kit-the Mercury shop manual, and/or Mercury’s Master-certified mechanics. There are special tools, a thread lock and a certain adhesive you will need for bellow replacement. Once all this is done and it’s time to go out on the water again, stock up on Mercury engine oil and happy boating! How Do You Dispose of Used Oil? If all the used oil from people in the United States alone who changed their own oil were re-used and recycled, there would be enough motor oil from that population alone to power 50 million automobiles each year. The used oil from just one oil change can contaminate 1 million gallons of fresh water-a year’s supply of drinking water for fifty people. During normal use of marine engine oil, impurities such as dirt, toxic chemicals, and heavy metal scrapings can mix in with the oil, causing it not to perform as well as it once did. Used oil must be replaced periodically to help machines run their smoothest. Used motor oil is slow to degrade, adheres to everything from bird feathers to beach sand, and is a major contaminant in waterways and is a potential pollutant of drinking water sources. 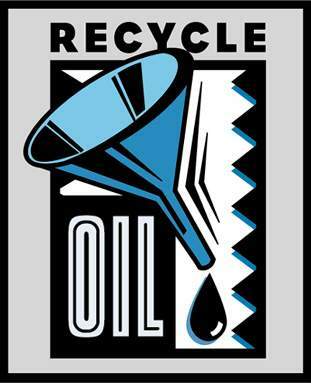 On average, 4 million people reuse motor oil for other equipment or take it to a facility with recycling capabilities. Used motor oil from automobiles, motorcycles, farm equipment, and landscaping equipment, as well as boats, can be recycled. Recycled used motor oil can be reinvented as new oil, processed into fuel oils, and serve as raw materials for the petroleum industry. One gallon of used motor oil produces the same 2.5 quarts of lubricating oil as 42 gallons of crude oil can. The oil filter will need to be changed every time the outboard motor oil is changed. Be sure and place a couple of rags or absorbent pads under the filter cap to collect potential oil or debris. Try to loosen the cap, using the appropriate wrench. You may have to clean the filter cap with an absorbent pad; if this doesn’t work, get a screwdriver and hammer and tap the screwdriver tip down into the cap, rotating the existing oil filter until it loosens enough to be removed. Before you replace the old oil filter with a new one, dip your finger into the old oil and rub a bead of oil around the edge of the new oil filter’s gasket o-ring, which will ease the future removal of the new filter when it needs to be replaced with the next oil change. If you will be boating in a hot climate that stays above 40 degrees Fahrenheit, use 25W-40 motor oil; in a cooler climate, use a 10W-30. Screw the new oil filter into position. Tighten the new oil filter by hand, ensuring it is snug with an additional ¾ to 1 full turn. Once the oil filter is in place and the drain plug is secured tightly, remove the plug for the fill and add the new oil using a funnel. Check your manufacturer’s manual for specifications regarding the amount of oil to use. Finally, check your dipstick to make sure there is enough oil. For environmental purposes, please dispose of discarded outboard engine oil at an approved hazardous materials collection center. 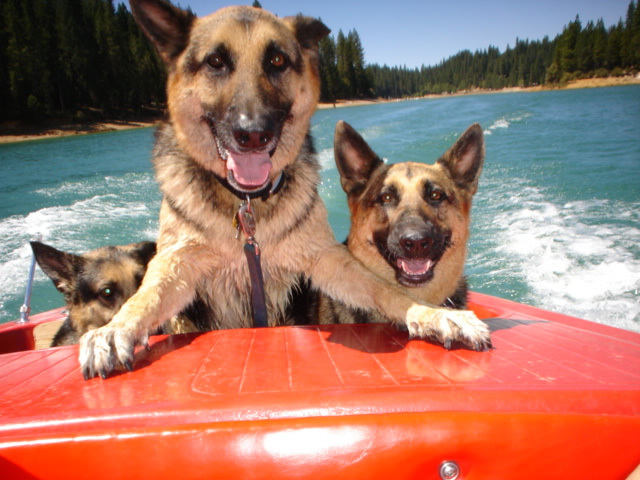 Happy boating! Using Fish Attractant: Pro or Con? Motion, noise and water relocation are primary reasons that fish will strike a lure, but smell and taste become important when a fish is close enough to bite. Some fish have a much keener sense of smell than others. Sharks and catfish have a finely tuned sense of smell, while carp, salmon and trout are still sharp smellers but without the degree of intensity as sharks and catfish. Bass and walleye fall somewhere in the middle, while pike and muskie only register the smell of fish attractant when they have visually seen the lure and are poised to strike it. 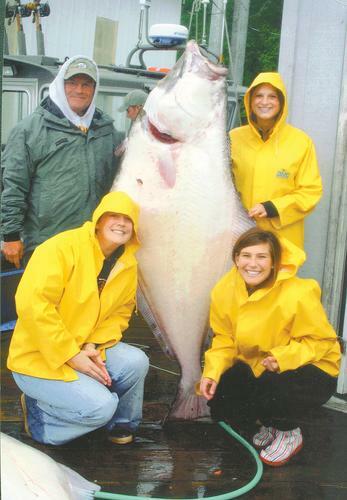 Though many believe the use of fish attractant is used to draw fish, it is actually serves two purposes by disguising negative human-generated smells and tastes left on lures and baits-sunscreen, bug spray, fuel, boat motor oil, nicotine, and our general human smell. Fish attractant can make your fishing bait taste like something that is still alive, fooling the fish into hanging on for a few extra seconds. 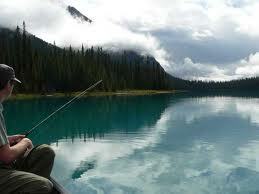 This gives the angler a better chance of reeling the fish in. In these tricky economic times, there are many small ways to cut corners and save a buck or two while still enjoying boating. One is to stagger your boat trip schedule, perhaps alternating weekends rather than going every weekend, trying to go during times when the most family and friends are available to make the most of the experience. Another is to have fellow boaters chip in when buying bulk motor oil, sharing the costs and saving you all money in the long run. 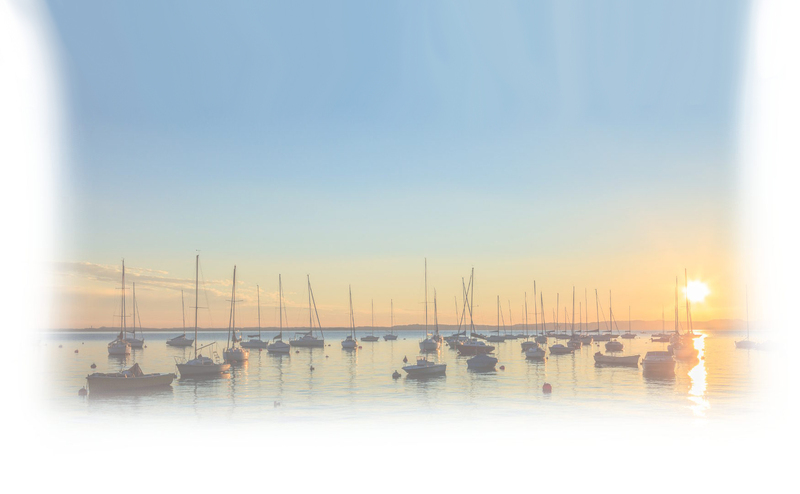 Small things can also make your boat more fuel-efficient. Cleaning the barnacle and plant residue from the bottom of the boat will reduce the friction and allow the boat to move faster without impediments. 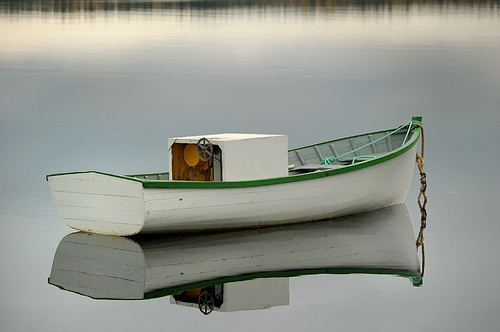 Remove excess weight from your boat in the form of heavy objects you may not use. Change the oil every 100 operating hours and replace the air filter, which must be clean for the best fuel efficiency. Ease on your acceleration when taking off, which greatly reduces the amount of fuel burned, and idling your engine as little as possible will waste less fuel. Try fuel additives after doing some research. While some fuel additives on the market are not worthwhile, there are a few that are beneficial for your engine’s fuel efficiency. Fuel up in the morning if you can; gas is considered more dense when there is less heat in the air, so in the morning, you can get more fuel for your dollar. And finally, consider investing in a fuel meter or fuel computer if you do not already have one. These devices give you instant feedback on your fuel burning rate, allowing you to make immediate adjustments to improve it if you can. Yesterday, I discussed the gradual phasing of TCW-2 into TCW-3 oil and answered a few questions about the use of the older oil, why and how it has evolved into TCW-3, etc. It was asked whether premixed TCW-3 oil could for other machines, such as chainsaws, motorcycles, and landscaping equipment without detriment. The “W” that is sometimes present in the name (there is also TC-3 oil) stands for “water-cooled” and is not necessary for an air-cooled engine. Another inquiry that arose was why TCW-3 oils sometimes showed color variations. The answer is that there are different suppliers who use different dyes, strictly for identification purposes, but the oils are formulated exactly the same. Modern marine engine oil is carefully formulated for premium engine performance, environmental compatibility, and contains the additives now mandated by the federal government for clean, efficient and safe operation of your boat, as I discussed in yesterday’s blog. Many would recommend not cutting corners when it comes to oil, and I would agree with that assessment. Use the best within your budget, mixing it as directions dictate. 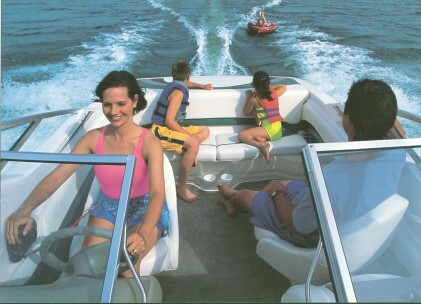 Owner’s manuals for outboard motors made in 1992 or prior used to state that premium fuel was required for proper operation, because during that time, premium outboard motor fuel was manufactured containing additives that minimized the formation of deposits inside the engines. During those years, the best oil available was rated at TCW-2 and did not contain the detergents and carbon preservative ingredients that marine engine oil such as XD-30, XD-50, and XD-100 does today. The federal government ruled in the late 1990s that all grades of fuel were required to include identical additive ingredients, and the premium fuel requirement for outboard motors was discontinued. If you still have some TC2-W outboard motor oil, it can still be used in a motor from 1992 or before. If you choose to use TC2-W oil in an older motor, Evinrude recommends addition of a product such as Carbon Guard to lessen carbon deposit formation. Be aware, however, that using TCW-2 oil in a motor that requires TCW-3 oil will void your warranty should any oil-related malfunction occur. The answer is: shake it up a bit and it should be fine. It may need to be room temperature to perform at its best, so avoid extreme heat or cold. What is oxygenated fuel? Oxygenated fuel contains oxygen as part of its chemical makeup. The purpose of fuel oxygenation is often to reduce carbon monoxide levels created while the fuel burns. Usually oxygenates come in the form of gasoline additives, such as alcohol. 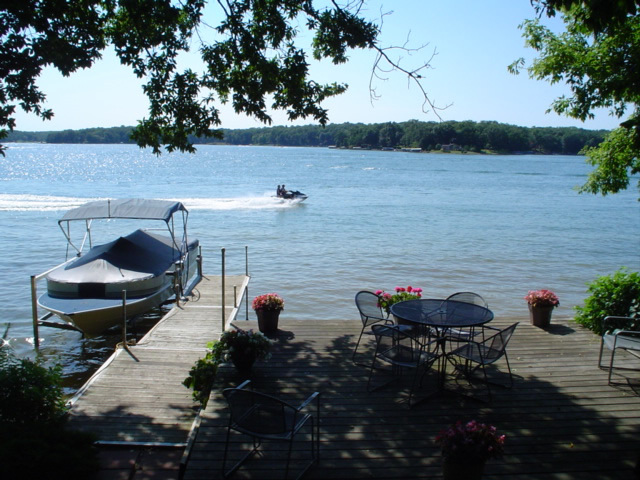 Some boaters are concerned with the possibility than an oxygenated fuel can harm their motor and interfere with the performance of their outboard motor oil. Outboard motors can generally tolerate up to 10% alcohol content in fuels, which is the maximum amount allowed by the United States. If it is a new motor, and it is attached to a new Evinrude boat (or a new-to-you boat), congratulations! You may have a question or two about the best care and feeding for this fine machine. 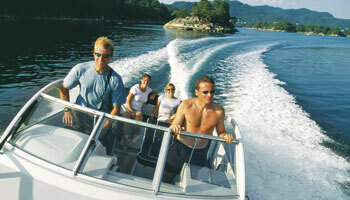 For instance, if you are dealing with a two-stroke Evinrude motor, you may be wondering what kind of oil to use. Their suggestions are XD30, XD50 and XD100 oil for two-stroke motors that are 1993 and newer. When it comes to the grade of Evinrude outboard oil to use, 87 octane is the current minimum, but 89 octane is actually preferred. Use of higher-octane fuels have not proven to provide any additional benefit, and may actually exacerbate hard starting conditions in hot weather. If you are wondering about the proper ratio of fuel to oil for optimal performance in your Evinrude motor, a breakdown given on the company website is as follows: 1958 and prior used 20 parts fuel to 1 part oil; 1959-1963 used 24 parts fuel to 1 part oil; 1964 and newer use 50 parts fuel to 1 part oil. High performance racing usage requires a ratio of 25 parts fuel to 1 part oil. Finally, when it comes to gearcase oil type and capacity, refer to your owner’s manual for specifications.